Photgraph album containing 8 cartes-de-visite, and 17 daguerreotypes. 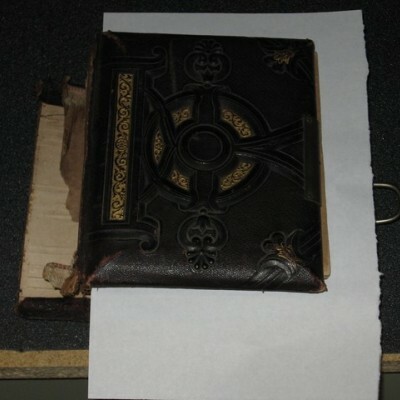 Album is brown tooled leather with gilded embossing on cover. There is a metal clasp. Spine in broken. In the fly-leaf is written: "This belonged to Fredonia (Clowes) Wilson." Some of the deguerreotypes have pencilled in names under them. They are Milton names.